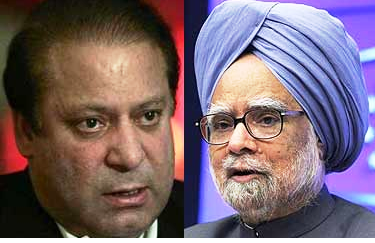 Pakistan had perfectly normal ties with India for nearly 20 years after our Independence. We contested the Kashmir dispute with civility at the UN but retained normal trade and cultural ties with India. This was until India started to expand the conflict beyond and outside the UN. India went to Afghanistan and started promoting independent Pashtunistan and Balochistan and started recruiting Pakistanis to work against their country. India’s Hindi-speaking ruling minority, the most extremist segment of Indian population, had been obsessed with punishing Pakistan since 1950. India developed the idea of promoting independent Pashtunistan and Balochistan as a way to prove that Pakistan should not exist. It is this hate for Pakistan that prompted India and its Hindi-speaking rulers to expand the conflict over Kashmir. Resolving Kashmir is key to helping India understand it needs to accept Pakistan, and accept Kashmiris’ right to decide their fate in a free, UN-sponsored plebiscite. And why don’t they leave? Let me take you back in time a bit: Marie Antoinette, queen of France, married to Louis XVI, when informed that the people of France had no bread to eat, purportedly said, “Let them eat cake.” This was prior to the French Revolution (1789) when eventually the French people, tired of poverty, deprivations, class society, bad governance, corruption and massive excesses of the nobles and ruling elite, publicly beheaded them. But that was the 18th century. France was a monarchy. Queen Marie Antionette’s response was rooted in her ignorance and alienation from the people of France. What else could have been expected of a ruling monarch that considered the common French citizens as their “subjects,” entitled to no better treatment or rights than “slaves” and whatever the monarchy willed it to be. Indeed, the king/queen was the embodiment and the law unto themselves – France was king and queen, and king and queen were France – French people existed at their pleasure and perished at their will – and that was that. In recent times, Reza Shah Pahlavi, the Emperor of Iran, the “darling” of the West and their front “henchman” in the Middle East, prior to the Iranian People’s Revolution in 1979, is reported to have “asked his opponents in Iran to leave HIS country if they did not like him.” This showed the incredible ignorance and preposterous arrogance of a Shahan-shah who, intoxicated with power and wealth, considered himself omnipotent — Reza Pahlavi was Iran and Iran was Reza Pahlavi. The state existed for the emperor, and the emperor was the state. In this mental disposition of alarming political and conceptual “madness,” Reza Shah’s personal view of “state” and its citizens is understandable – that is, if one is inclined to believe that a nation can be governed by a ruling elite and its leadership that is gruesomely insane and grotesquely suffers from a complete and lurid lunacy. 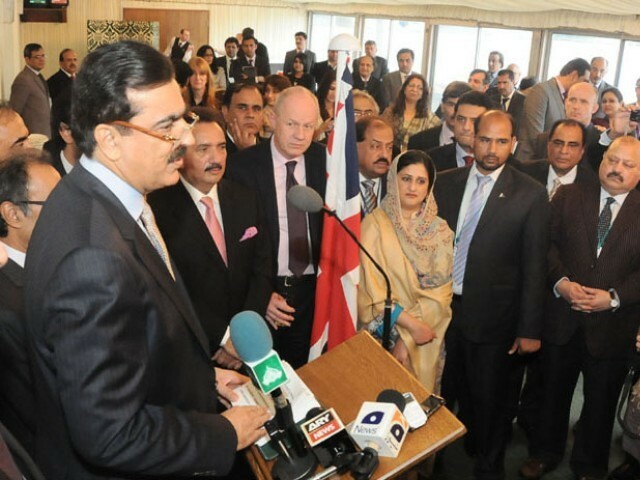 Prime Minister Yusuf Raza Gilani has almost become the ‘Crime Minister of Pakistan’ as his regime has broken all previous records of corruption and bad governance besides shamelessly proving itself to be a great supporter and protector of all alleged and convicted looters and plunderers of national wealth. Such is the blatant display of Gilani’s support for corruption and white collar crime in the country that the topmost court of the country had to convey time and again that every tale of loot and plunder has its footprint leading to the top rulers. So shameless is the attitude of the government, whose chief executive is the PM himself that any person associated with the government when caught in a corruption case, is showered with added privileges and promotions instead of being made an example for others. Of late the prime minister has inducted Raja Pervez Ashraf now nicknamed Raja Rental and others have been held responsible by the Supreme Court for RPP corruption of billions of rupees. The Supreme Court had asked the government and the NAB to proceed against all those involved in the RPP scam but in return Gilani re-inducted Raja in the federal cabinet, in another financially lucrative ministry of Information Technology. What could be the moral standing of a government about whom no less than the topmost judge of the country remarks in an open court that that plunderers have been appointed as ministers. Only recently while hearing another case, again it was the chief justice of Pakistan who had observed that any government servant, who does his job honestly is removed by the government and transferred to far flung areas. Russia on Monday, for the first time, publicly endorsed Pakistan’s bid to get full membership of the Shanghai Cooperation Organization (SCO). Russian Prime Minister Vladimir Putin made this announcement in response to Prime Minister Syed Yusuf Raza Gilani’s address at the 10th Heads of Government meeting of SCO, at the Constantine Palace. 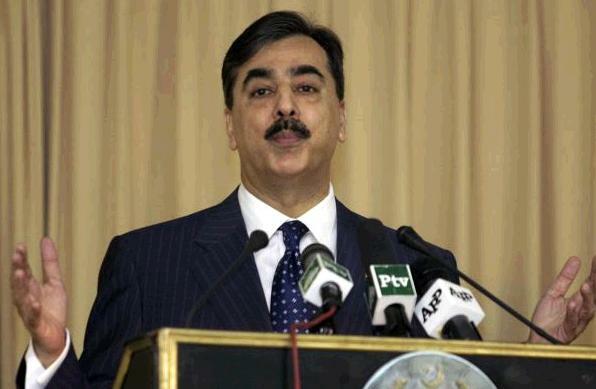 The Russian Premier also supported Prime Minister Gilani’s proposals for implementing trade and energy projects. He announced financing 0.5 billion US dollars for the CASA- 1000 that would ensure power transmission from Turkmenistan Tajikistan and Kyrgyzstan to Pakistan and Afghanistan. Putin said in practical and tangible terms, Russia wants materialization of projects including TAPI (Turkmenistan- Afghanistan-Pakistan-India) gas pipeline project and the Central Asia South Asia Electricity Trade and Transmission Project (CASA 1000). Later, the two leaders held bilateral meeting and discussed several important issues including fight against terrorism and extremism, besides calling for the need to adopt regional approach towards dealing with major challenges. Russian Premier Putin termed his meeting with Prime Minister Gilani “very pleasant” and expressed satisfaction over bilateral and trade ties between the two countries. “Pakistan is important for us in trade and economy and it is an important partner in South Asia and in Islamic world,” he told Prime Minister Gilani. Putin offered Russia’s assistance in expansion of Pakistan Steel Mills and provision of technical support for the Guddu and Muzaffargarh power plants. He said Russia could facilitate Pakistan in the execution of Thar Coal Project. Gilani said this was his fourth meeting with Prime Minister Putin. He mentioned that he joined other leaders at the SCO forum despite the occasion of Eid, because of the importance of the forum and also of Pakistan’s commitment to the regional issues. He appreciated Russia’s support for mega projects including CASA 1000. Justice Umar Atta Bandial of the Lahore High Court Thursday admitted to regular hearing a petition seeking disqualifications of Prime Minister Yousuf Raza Gilani for allegedly subverting the Constitution by way of not implementing the judicial decisions. The court also issued notice to the Attorney General of Pakistan and the federal government on the petition. The petitioner has also sought a sedition case against the PM. The petitioner contended that the PM was not following the court orders right from the case of NRO. Hence, he (PM) was making breach of the oath he had taken to uphold the Constitution. The Bench admitted the petition to regular hearing after Advocate A K Dogar had made preliminary submissions on behalf of petitioner Advocate Allah Buksh Gondal. Following a court direction, the petitioner had previously amended the plea to the affect of challenging Article 6(3) of the Constitution, which relates to the high treason action while allowing only the federal government to initiate a reference for this purpose. The petitioner prays to make this provision more open to let others also initiate a reference to seek high treason action against a person. Notice has also been issued on the amended petition for September 8 next when main case will also come up for further proceedings. The petitioner contends that the Prime Minister as chief executive is under oath to protect the Constitution and the organs functioning under it. Advocate Dogar argued that it was paramount duty of the PM to get the Supreme Court decision implemented and if he fails to fulfill that obligation, he in fact is committing a gross violation of the Constitution. In the petition, it has been stated that the Executive had dragged its feet on the implementation of a number of judicial orders among them, including one seeking writing a letter to the Swiss authorities for reopening cases against President Asif Ali Zardari and another which had restrained use of the presidency for political purposes, but no regard was paid to the implementation of the same. He further contends that officers were appointed to departments which were party before the Court, with an aim to cover the court decisions and thwart their execution. The petitioner accused the PM of accepting dictations from the President instead of following the constitutional requirements, which he adds, amounts to a gesture on his part to undermine the Constitution and commit its breach. The petitioner has prayed to declaring the Prime Minister disqualified. Until recently, Pakistan’s Prime Minister Yousaf Raza Gilani, who is considered a weakling in his own party, impressed his colleagues and opponents by showing them a framed picture of himself sitting with US President Barack Obama in the White House. Insecure Pakistani politicians believe a meeting with a US president means enough backing to take on domestic opponents. Most visitors have seen the picture prominently placed in one corner of the Pakistani prime minister’s office. And none of them have missed the indirect message that Mr. Gilani wants his guests to leave with: that he’s a strong prime minister with powerful international friends. But things changed after Oct. 20. That’s the day Mr. Obama walked in on a meeting between his top advisers and a whole bunch of Pakistani federal ministers attending a Pak-US Strategic Dialogue. They were all excited because the ministers now had their own version of a framed photo with the US president. 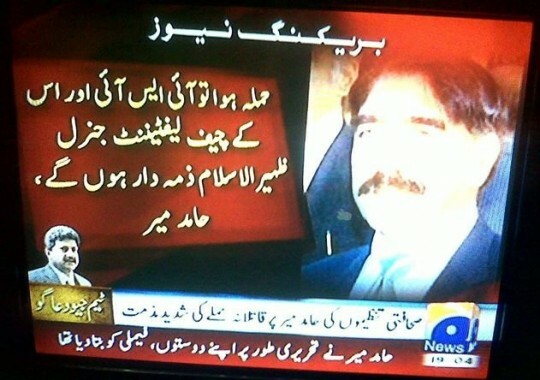 Take this, premier Gilani! All of a sudden, all of them began waxing eloquent about how benevolent the United States is when in reality they returned empty handed, except for a lot of sound bites and flashlights. Part of this effusive behavior was how the Pakistani ministers defended Mr. Obama’s decision not to visit Pakistan when he’ll be landing in both Kabul and New Delhi this week. The nearly-drooling ministers said Mr. Obama was kind enough to walk into their meeting and personally apologize for not visiting Pakistan. They said hr ‘promised’ to visit Pakistan sometime in 2011. And that was it. That’s how our ministers glossed over what probably is one of the most telling signs of the US attitude and behavior toward Pakistan. Washington has done nothing to benefit Islamabad in the nine-year alliance since 9/11. The only reason US officials loudly remind Pakistanis of the ‘aid’ given to Pakistan during this period is because no Pakistani official, civilian or military, had the guts so far to tell the Americans enough of their play on words. Ten billion US dollars or so is peanuts compared to more than $64 BILLION in direct and indirect losses to Pakistan because of its decision to support the US invasion and occupation of Afghanistan. This is nothing to say of the 5,000 or so Pakistanis dead in America’s war that has given us nothing but a long line of Pakistani children orphaned by this war. Often Pakistan shot itself in the foot to please its American ally. Like it did last week by signing on a revised trade agreement with Afghanistan. US diplomats were part of the Afghan delegation that negotiated the deal with Pakistan. Thanks to this ‘favor’ our government has done the Americans; around 80,000 Pakistani jobs will be lost over the near future to please Washington and its puppet government in Kabul. After all this, India gets Obama’s first visit, along with Kabul, while Pakistan gets the lollypop of a ‘promise’ to visit Pakistan in 2011. Let’s not mince words here and enough of the hypocrisy. Pakistani officials visiting Washington for the strategic dialogue who remained quiet on this point do not represent the views of the Pakistani nation. The least the US president could have done is to visit Pakistan first, Washington’s supposed major non-NATO ally. It is preposterous that he isn’t. This is the latest in a long list of insults that Pakistan and its weak leaderships have been swallowing for nine years. Where to begin? Our ally decidedly created an anti-Pakistan puppet government in Kabul and then oversaw the emergence of anti-Pakistan terror groups on Afghan soil, like BLA. For years, CIA drones refused to target the so-called Pakistani Taliban and did so only when Pakistani military confronted CIA with evidence of a nexus between CIA agents in Afghanistan and the anti-Pakistan terrorist group. The icing on the cake was the US-India nuclear pact. We wanted Mr. Obama to come here and meet the families of young Pakistani children who lost their fathers and mothers in hundreds of terrorist acts. Meet the families of our people in the tribal belt, those patriotic Pakistanis who lost their loved ones, their homes, their lives, because of CIA missiles carrying Pakistani ruling elite’s seal of approval. Not to mention the children of our soldiers who died defending the motherland, children who don’t have fathers to look after them in a country with weak social support systems. After all of that, the US president and his staff and his cheerleaders in Islamabad have the gall to tell us we shouldn’t take his snub personally. No one in Pakistan is bothered about him visiting India for whatever reasons. He can make quarterly visits for all we care. It is the deliberate snub to Pakistan that is not sitting well with most Pakistanis. Editors’s Note: The following copy is of a letter that was by written by Benazir Bhutto to Peter Gailbraith a US senator. We have reproduced the letter as is without any alterations whatsoever. We would leave it to our readers to reach to an independent conclusion. Does our leaders keep Pakistan’s interest first? I do not know how to thank you for your so many favors to me and my family. As you know that the orders of my dismissal were drafted in the JAG branch of the GHQ, and it was not possible for me to pull along with the army and they subverted my Government. I have already communicated to various friends in the Congress and especially Stephen Solaran to use their good office with President Bush so as to put maximum pressure on President Ishaq and the army in Pakistan that they do not disqualify me from the elections as it will be unjust and negation of all democratic principles for which we have struggled. It would be more appropriate, if military as well as economic assistance to Pakistan is stopped and all the international agencies like World Bank, IMF are told to squeeze the Government of Pakistan and if possible all supply to Pakistan should be disrupted so that normal life in Pakistan comes to stand still. As long as I was the Prime Minister I kept a check on the Nuclear device but now I do not know what are the plans of Government. The suspension of F-16 and its spares will bring the army to its senses. Dear Peter, please use your influence on V. P. Singh, the Indian Prime Minister to engage the Pakistani army on the borders so that they do not impede in my way. I wish Rajiv Gandhi had been the Prime Minister of India, things would have been easier. Do we have to say any more? Waiting for your comments.